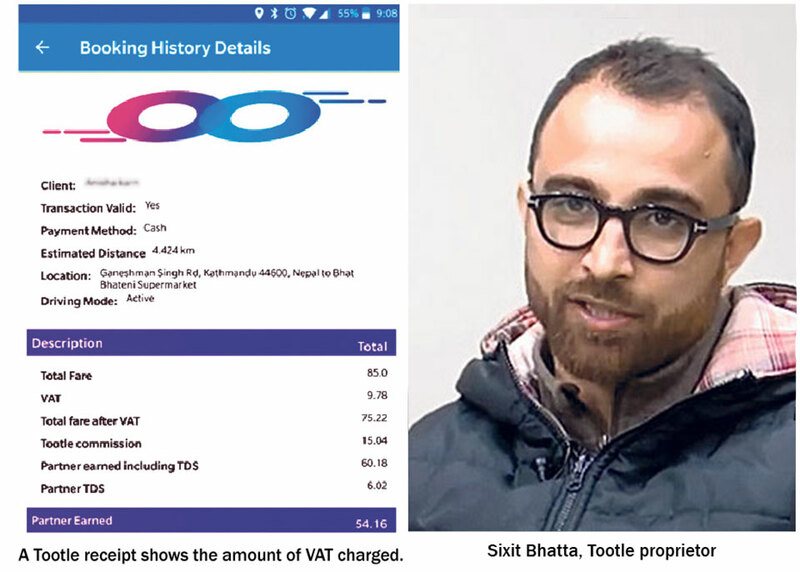 KATHMANDU, Jan 24: The Inland Revenue Department has started investigation into the alleged Value Added Tax (VAT) fraud by ride-sharing service provider Tootle. According to the department officials, the department has already directed the offices concerned to start investigation into Tootle. 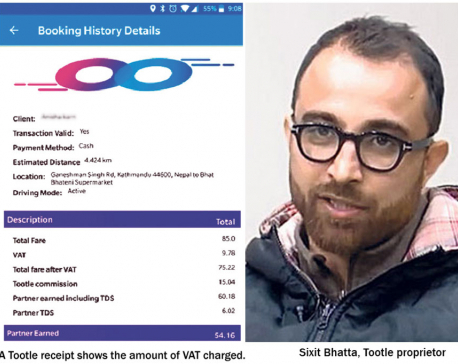 A recent Republica article exposed that Tootle had been collecting VAT from its users while it never paid the amount to the government. The company is yet to be registered for VAT. He added that Tootle, if found guilty, will face punishment as per the law and it will also have to pay the VAT amount collected, which will be determined by the department, to the government along with interest and fines. “We do not yet know what laws they have broken,” Spokesperson Dhungel said. 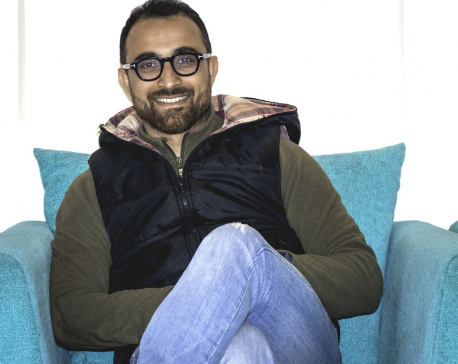 Chief Executive Officer of Tootle Sixit Bhatta said that the company does not maintain its accounts in accordance with the booking details shown to its riders. “The receipt details we show on the app are different from our accounts,” he said. IRD takes such action as illegal since the company has collected the VAT but not paid it to the government. Tootle had allegedly collected 13 percent VAT from its riders from January 2017 (since its inception) to July 2018. The company has yet to clarify what it did to the collected amount. Previously, CEO Bhatta had claimed that the company did not include the VAT in its audits although it was charging VAT on the users. Bureaucrats had condemned the conduct of the ride-sharing company as illegal. KATHMANDU, Jan 24: In the wake of the Republica exposé on the ride-sharing company Tootle’s defrauding riders by collecting VAT and not paying it to the government, people have taken to various social media to vent their ire. People from various walks of life took to Twitter and Facebook to take Tootle to task.